Just a quick reminder. 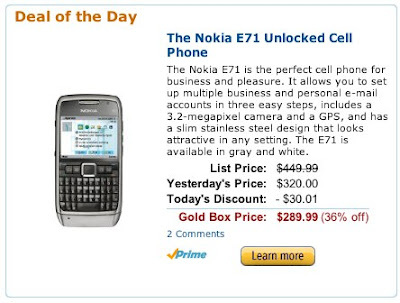 TODAY ONLY you can pick up the Nokia E71 North American version for $289.99 at Amazon.com. It's really hard to beat that deal right now. Maybe you have a friend who's been wanting to pick one up, or your wife has been bugging you for something so thin and sleek? Really worth the money if you have the extra cash, it's a powerful little device. I've seen people us it as their main computer with the VGA out cable into a large monitor. The decent RAM, large hard drive, and Windows XP makes this possible. 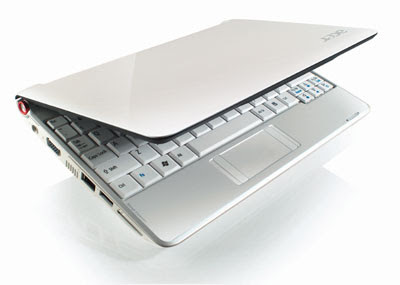 Click here to check out the Acer Aspire One at Amazon. I'll be doing a mini review of the Aspire paired with my Nokia E71 in a few days. Hope everyone is having a good weekend.